Please join us in welcoming three new members to PESA: ASRC Energy Services, Brookfield Asset Management, and Clearlake Capital. ASRC Energy Services is a construction engineering company providing quality consulting and contracting services to the energy, natural resources, infrastructure, industrial, marine, and power industries. ASRC is headquartered in Anchorage, Alaska and Doug Smith is the President and CEO. 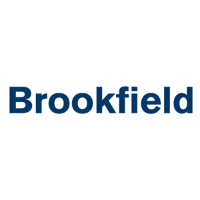 Brookfield Asset Management is a leading global alternative asset manager, focused on investing in long-life, high-quality assets across real estate, infrastructure, renewable power and private equity. Their investments include one of the largest portfolios of office properties in the world, an industry-leading infrastructure business spanning utilities, transport, energy, communications infrastructure and sustainable resources, and one of the largest pure-play renewable power businesses that include more than 200 hydroelectric facilities as well as several high-quality business services and industrial companies. Bruce Flatt is the CEO and they are headquartered in Toronto, Canada. Walter Weathers, Senior Vice President, will support their efforts within the energy complex and be operating out of Houston. Clearlake Capital Group, L.P. is a private equity firm focused on private equity and special situation transactions. The firm’s core target sectors include industrials, energy and power; technology, communications and business services; and consumer products and services. Behdad Eghbali and José E. Feliciano are the founding managing partners. Clearlake Capital was founded in 2006 and is headquartered in Santa Monica, California.